Enjoy pancakes with real maple syrup, breakfast sausages, live entertainment, and visit with our food and craft vendors. The street will be closed off so there won't be vehicle traffic. 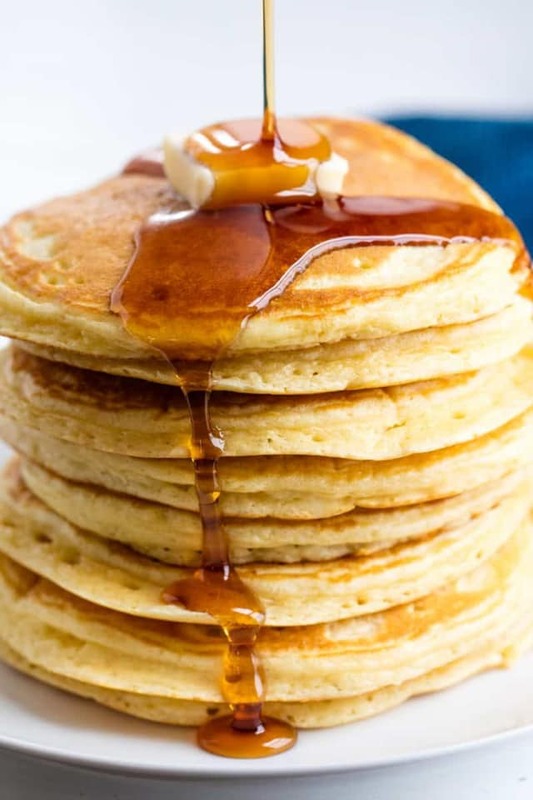 Enjoy pancakes with real maple syrup, breakfast sausages, live entertainment, and visit with our food and craft vendors. The street will be closed off so there won’t be vehicle traffic. You are invited! Special Guests between 11am and 3pm. Over a $1000 in prizes & giveaways! Special Guests between 11am and 3pm. Over a $1000 in prizes & giveaways! 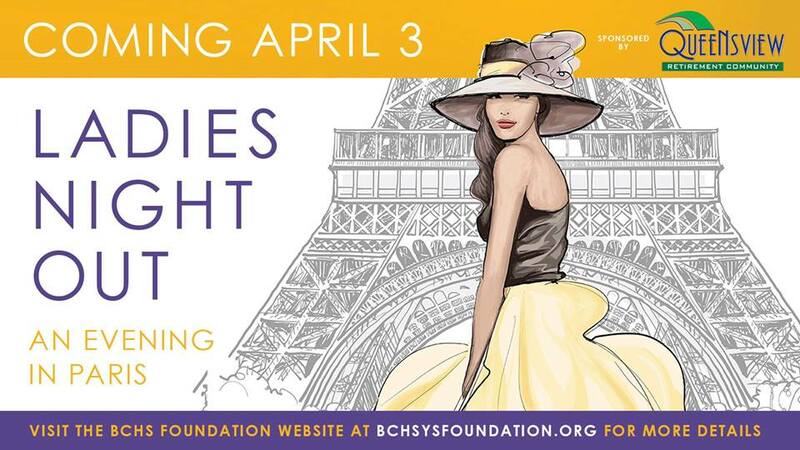 Come on out to the Paris Fairgrounds on April 13th for our annual Spring event. Browse the aisles while sipping on a drink. 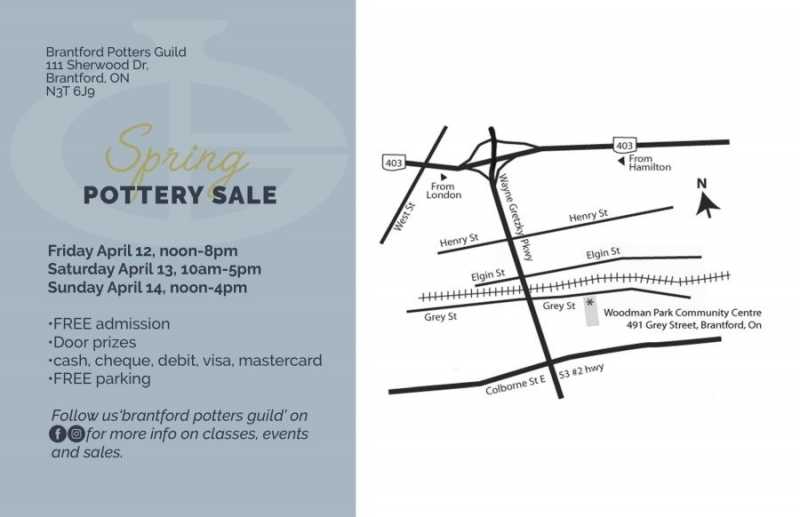 Wood working, crafts, candles, home decor, spring decor and so much more will be found with over 100 vendors! Admission is just $4.00 per adult. Join us on April 13th for our inaugural event! Three of our beautiful princesses will help your little ones collect Easter eggs, all of which contain special prizes! Our egg crawl will be followed by musical performances by our princesses, photo opportunities, colouring pages and more! Please note that this is not a drop-off event. 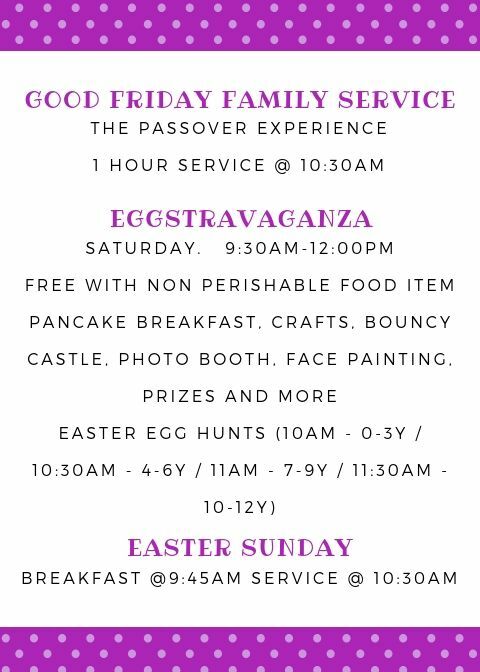 All children are required to have a parent or guardian with them for the duration of the egg crawl. 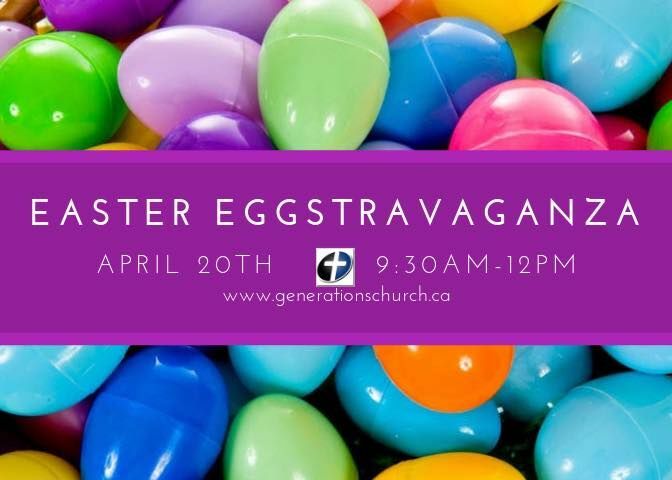 Bags will be provided for the children to collect their eggs. 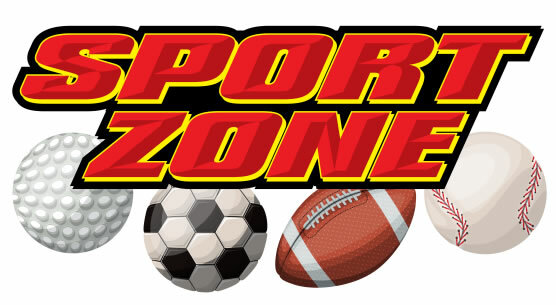 Every child participating requires a separate ticket. To purchase tickets, please contact The Glass Slipper Company directly so that the correct information can be collected! Tickets are limited, so don’t delay! Contact us today to ensure that you get your tickets for this very special event from the princesses of The Glass Slipper Company! A free event for children ages 2 – 12. Donations gratefully accepted at the door. 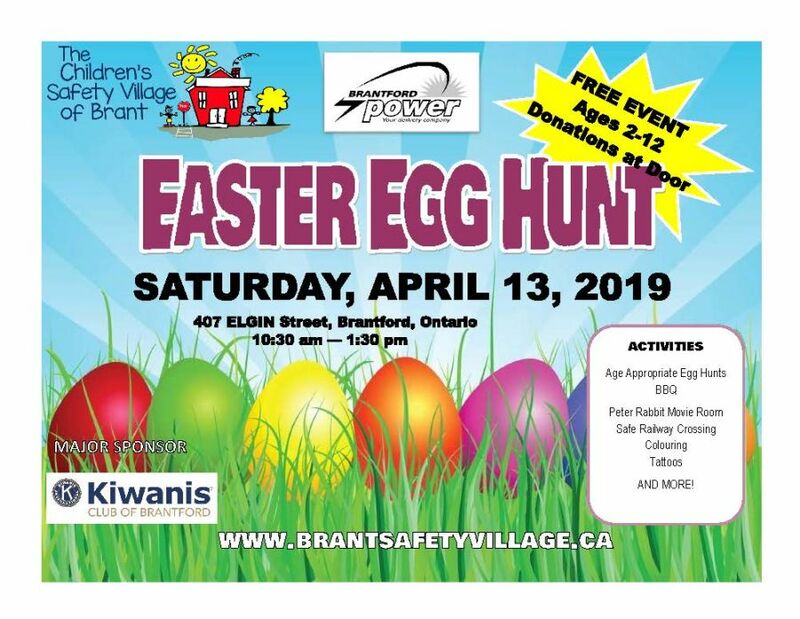 The Children’s Safety Village of Brant is hosting an exciting Easter Egg Hunt event at their remarkable miniature town on Saturday, April 13, 2019 from 10:30am – 1:30pm. This is a new venture for the Safety Village that is sponsored by Brantford Power and the Kiwanis Club of Brantford. 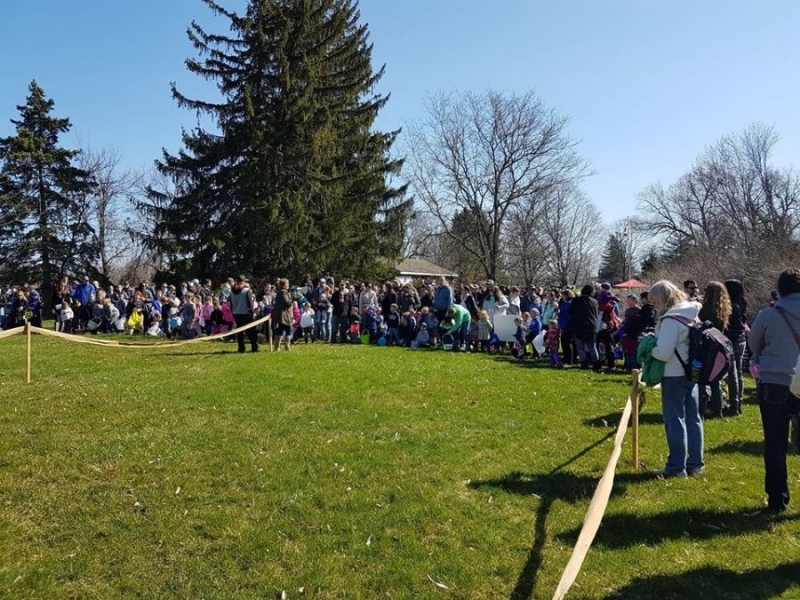 “The Easter Egg Hunt and the annual Halloween in the Village on October 26, 2019 will be the two public events we will be hosting this year,” says Dr. Leo Vos, Board President. For more details please visit their website at www.brantSafetyVillage.ca or follow us on Facebook facebook.com/csvbrant or find us on Twitter twitter.com/SafetyVillage_B. On Saturday April 13th, our Line Dance Team celebrates our 5th anniversary and we are planning a huge line dancing party. So our boots clicked and we thought HEY — let’s invite EVERYone. From there … the idea grew. Let’s make History by adding to HERstory and set a record for Brant County’s LARGEST Outdoor Line Dance Class. Everyone doing the MOJOmotion together on the street. We will TEACH the dance and then every person, united on the street will dance it. 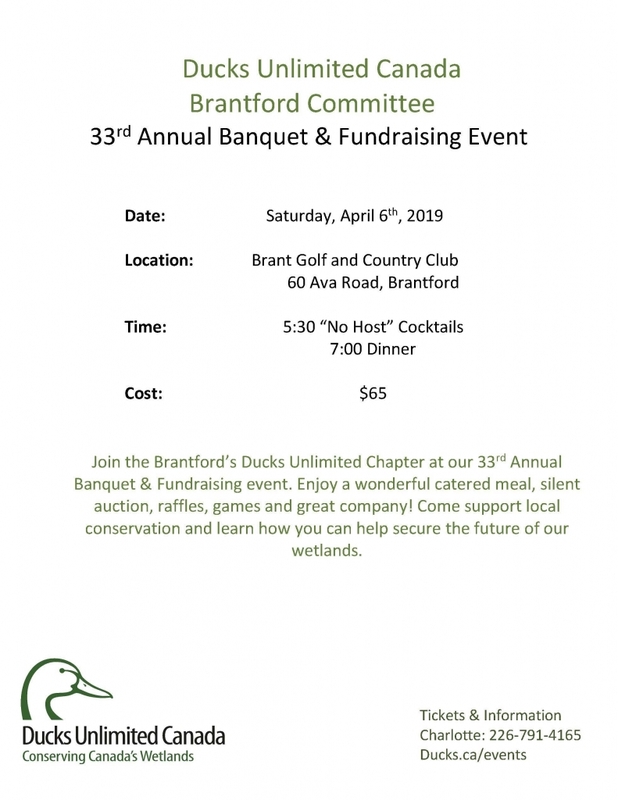 And we will set the record for Brant County’s Largest Outdoor Line Dance Class — and another record — Largest Line Dance Class doing the MOJOmotion. 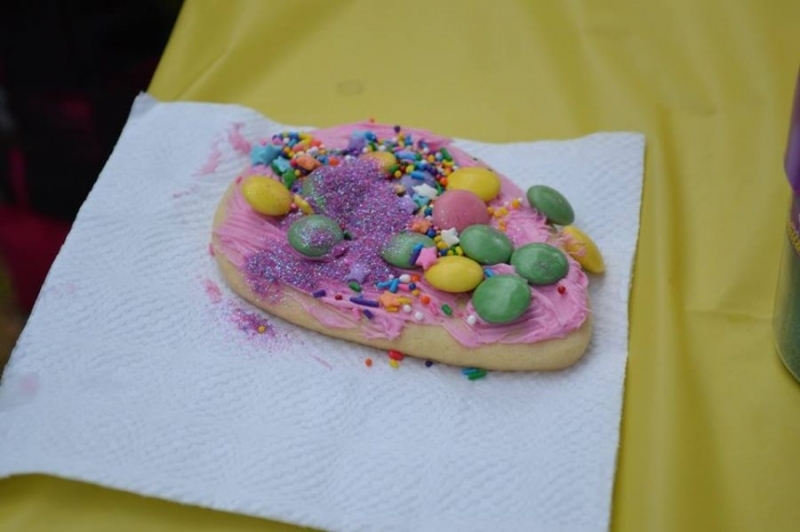 And double bonus — this event is being held at the Paris Lions Maple Syrup Festival — everyone can then enjoy the food and beverages, support the vendors and experience the FUN & activities of the entire event. It’s a Win/Win for the Paris Lions, Downtown Paris and Us. All Ages. No Cost — Just Bring Smiles & Friends!! Please wear comfortable clothing. This IS outside. 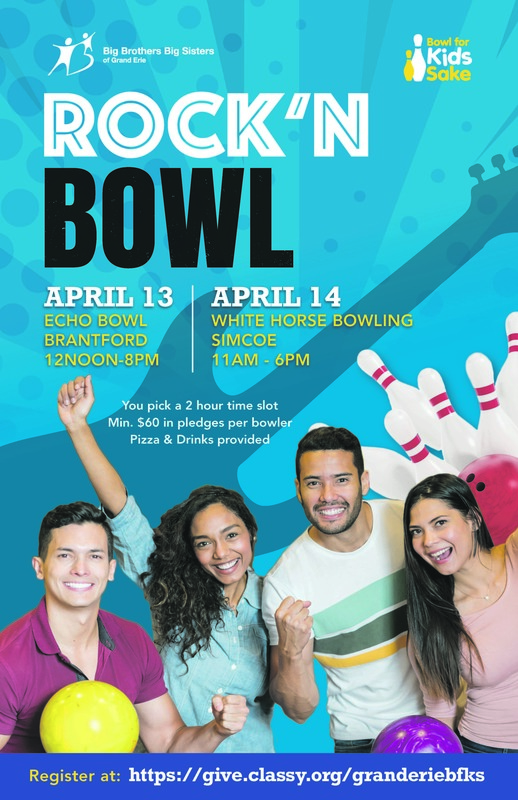 Rock ‘N Bowl Fundraising Event for Big Brothers Big Sisters of Grand Erie. Teams of 4-7 people. 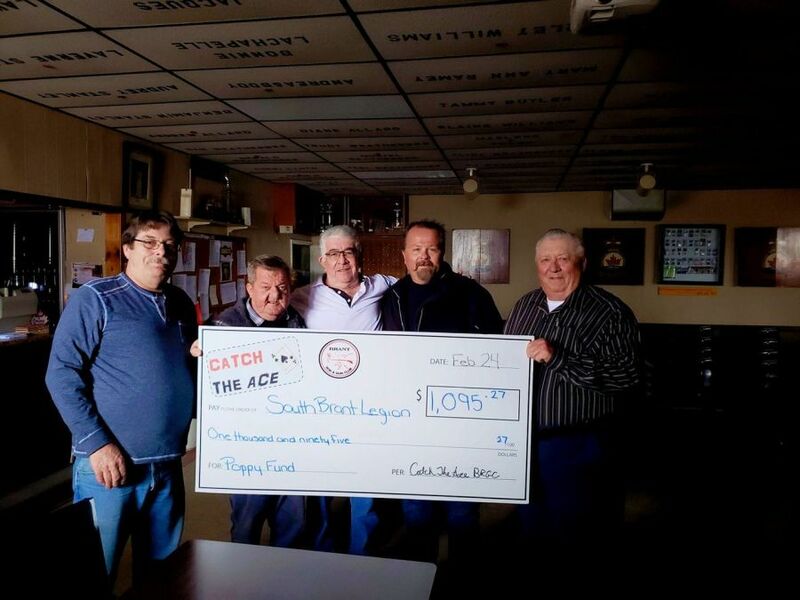 Each bowler must raise a minimum of $60. to participate. Pick a 2 hour time slot. To register or donate, please visit their website. 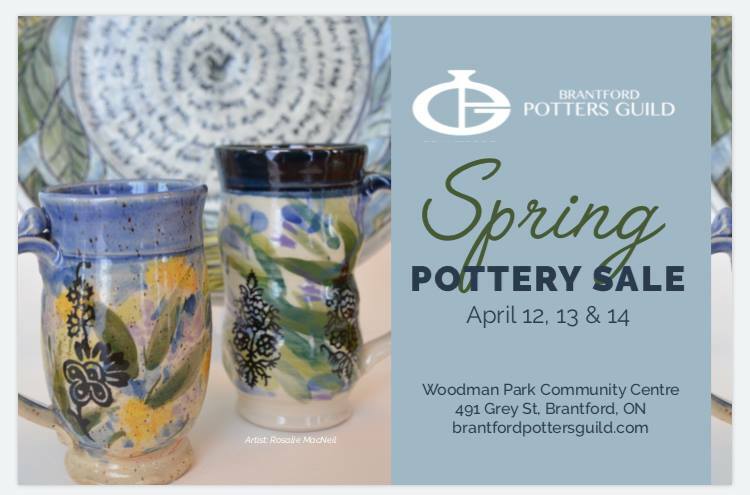 In collaboration with Brantford Parks and Recreation along with other neighbourhood associations, we want YOU, your FAMILY and FRIENDS to dig into your creative side and explore the different activities related to crafts, technology, etc! 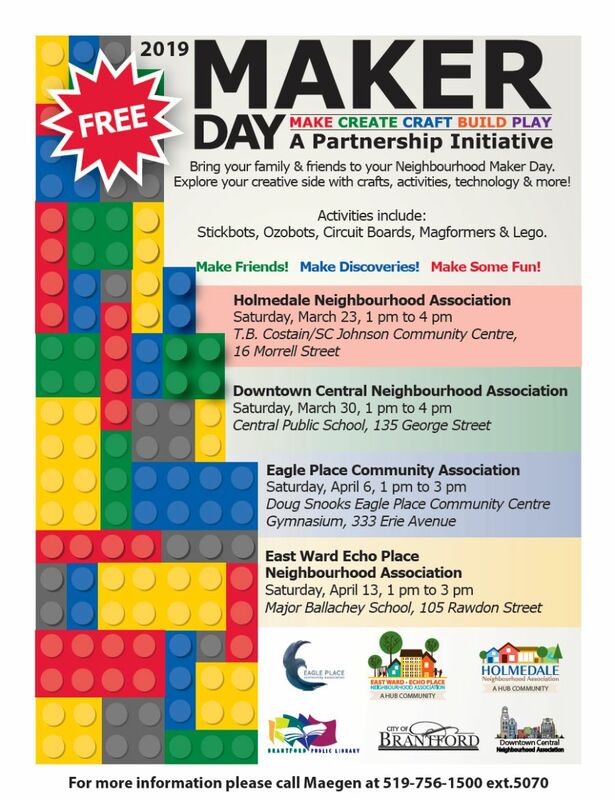 This is a day you will not want to miss – be sure to check out the Maker Day event at the other neighbourhood associations as well (see poster)! Look for us at the 4-way stop on Fairview Drive! Our Drive-thru will be located in the Fairview United Church parking lot down the street. We are selling Chocolate & Vanilla Girl Guide Cookies for $5.00 per box. Thank you for your support!! BarCode performing upstairs at Brant Artillery Gunners’ Club. 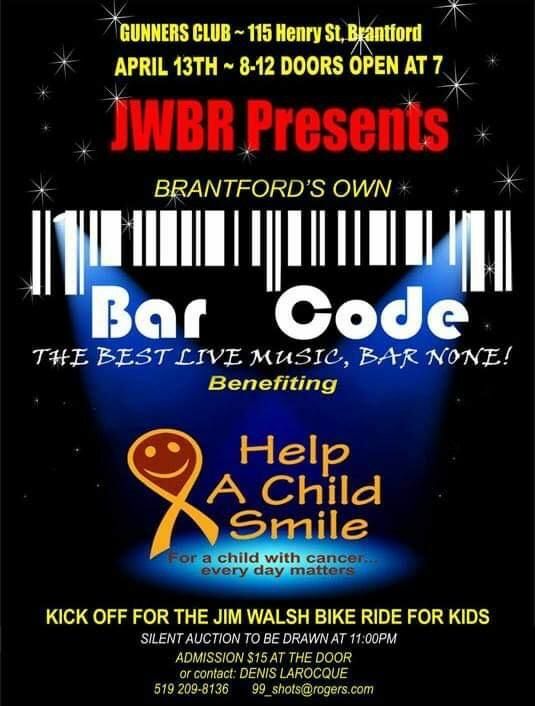 A fundraiser for Help A Child Smile, presented by the Jim Walsh Bike Ride. 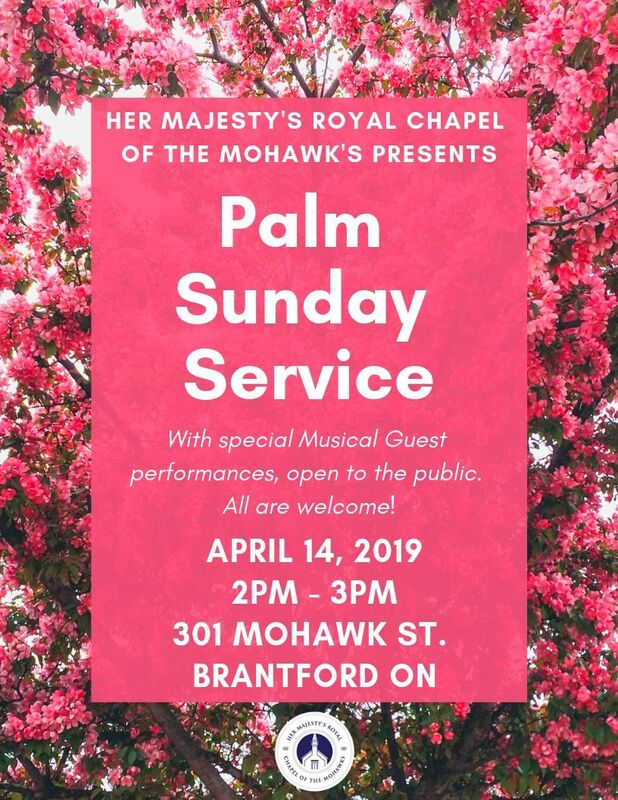 Mohawk Chapel is pleased to present our annual Palm Sunday Service on April 14th at 2pm. With special Musical Guests performing, this event is open to the public and all are welcome! 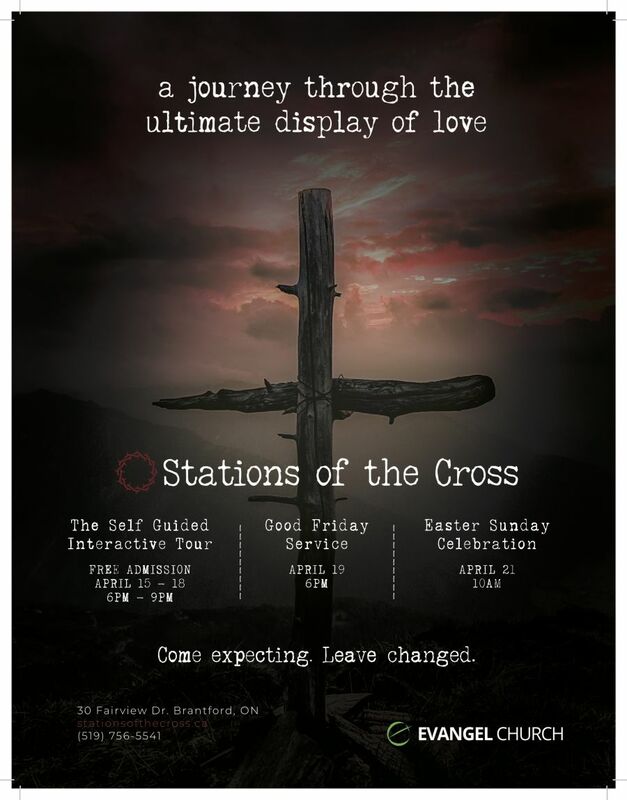 Evangel Church (30 Fairview Street Brantford) is hosting their 2nd annual self guided sensory ART EXHIBIT tour through the Stations of the Cross that testimonies reveal have left hearts changed. Lead Pastor of Evangel Church, Craig McKibbon (who sits on the Brantford Arts Council and is Chaplain for Ontario Provincial Police) gave birth to this vision to bring this one of a kind event to life here in Brantford after a trip to the States where a pastor friend told him of the impact the event had on his church ….and community. 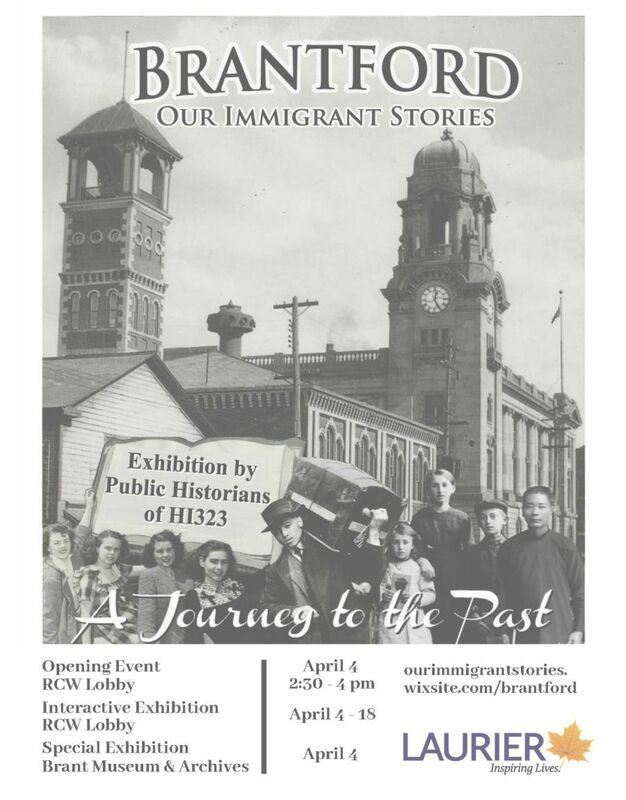 Last year close to 1000 people from Brantford and surrounding cities came through the self guided ART EXHIBIT TOUR which found people of all ages, faiths and backgrounds walking through the stations on an emotional journey over the week leading up to Easter weekend. This year, it is expected that hundreds more will come and experience this exhibit for themselves. the Wayne Gretzky Sports Centre. The fair is from 10:00 am – 1:00 pm and 5:00-8:00 pm. Good Food Boxes, and ½ Good Food Boxes that have not paid for delivery, can be picked up between 2pm and 7pm at 1100 Clarence Street, Suite 202 (Upstairs). You must present your receipt at time of pick-up. All cash or debit payments must be made in person at the same location. 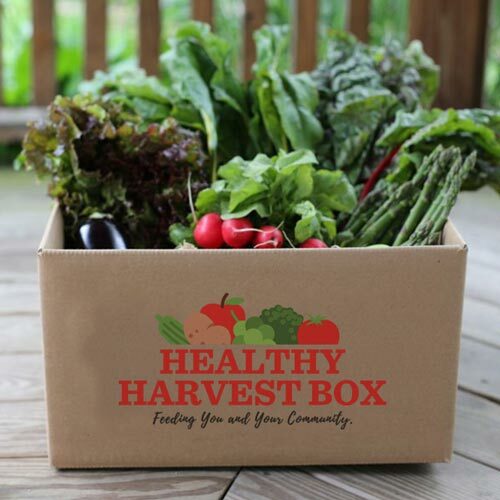 You can also order online at healthyharvestbox.ca. Come to the Library to celebrate #CanFilmDay sponsored by REEL Canada–now in its fifth year! We’ll be showing Sarah Polley’s Away From Her, to tie in with our monthly book club selection. NO! You do not need to be part of our book club to attend–just show up! – Looking to become more involved within your neighbourhood/community? 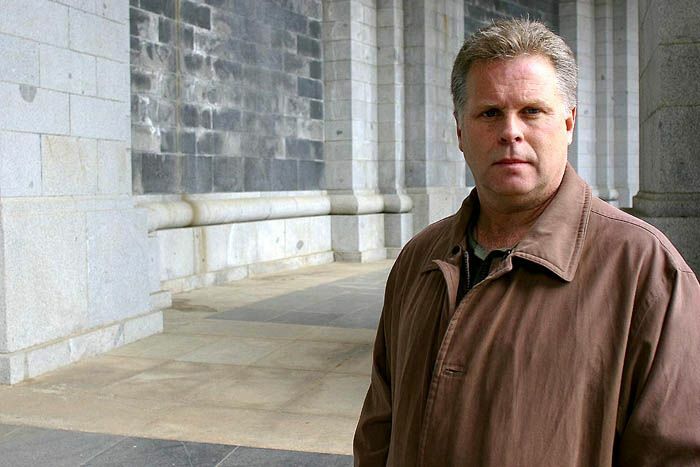 – Want to make a positive difference? – Want to share your input on various topics? 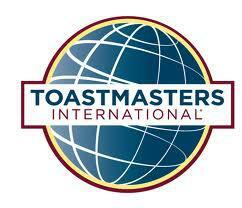 Come and attend our monthly meeting on Thursday April 18th at 6 pm! New members and residents who are interested in learning more about what we do are always welcomed to attend our meetings! Dance Fitness is back! Get moving with us every Thursday at 6:30 pm until June 27th. 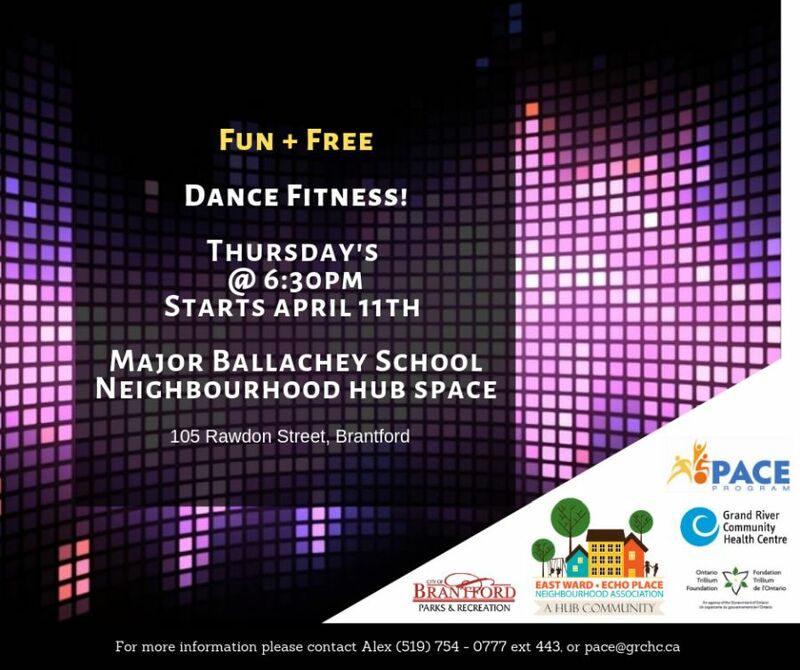 This FREE FITNESS CLASS is in partnership with PACE, East Ward Echo Place Neighbourhood Association, Brantford Parks and Recreation, Grand River Community Health Centre and Ontario Trillium Foundation! 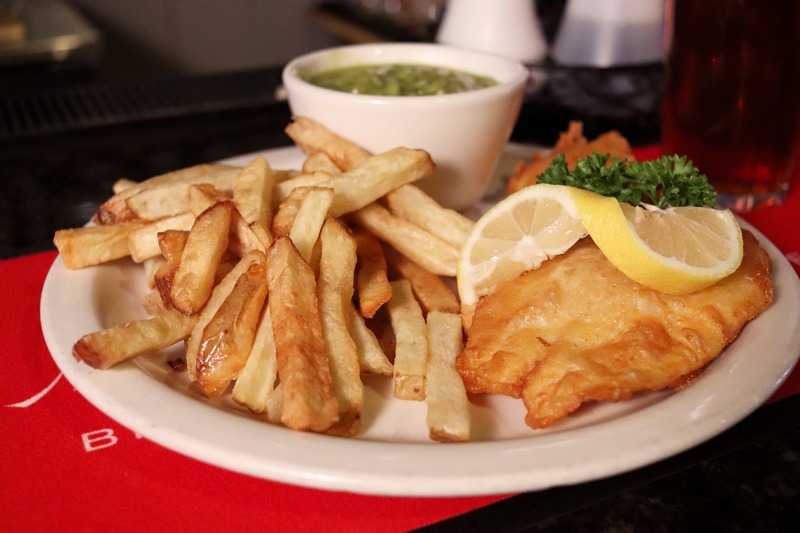 Good Friday at Myra's Bar & Grill Myra's Bar & Grill 19 Holiday Dr.
April 19, Good Friday, open 7:00am – 1:30pm. 7:00am – 10:00am, $8.95 Plated Breakfast Special: 2 eggs, homefries, your choice of bacon, ham or sausage, served with toast. 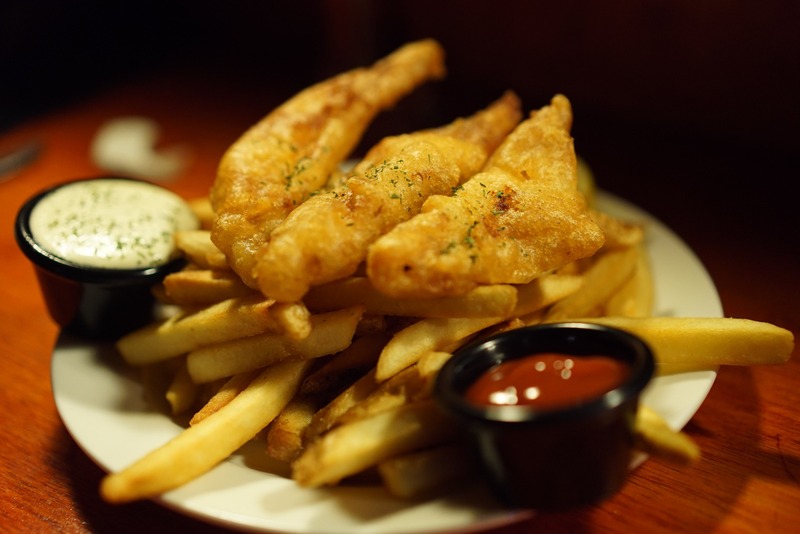 11:30am – 1:30pm, $12.00 Fish & Chips Lunch Special: hand battered cod, french fries and coleslaw. NOTE: Mon. April 22, Myra’s closes at 10am. 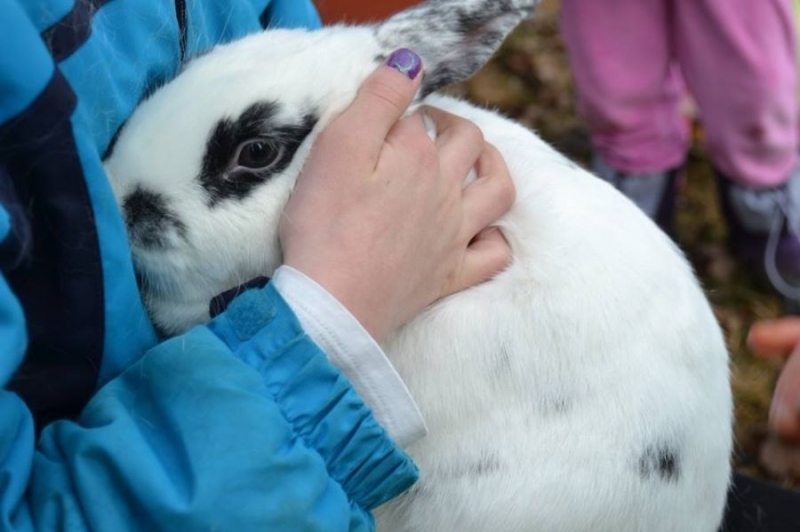 Join the Easter Bunny at the 7th Annual Easter at Addie’s: Egg Hunt, Petting Zoo & More! 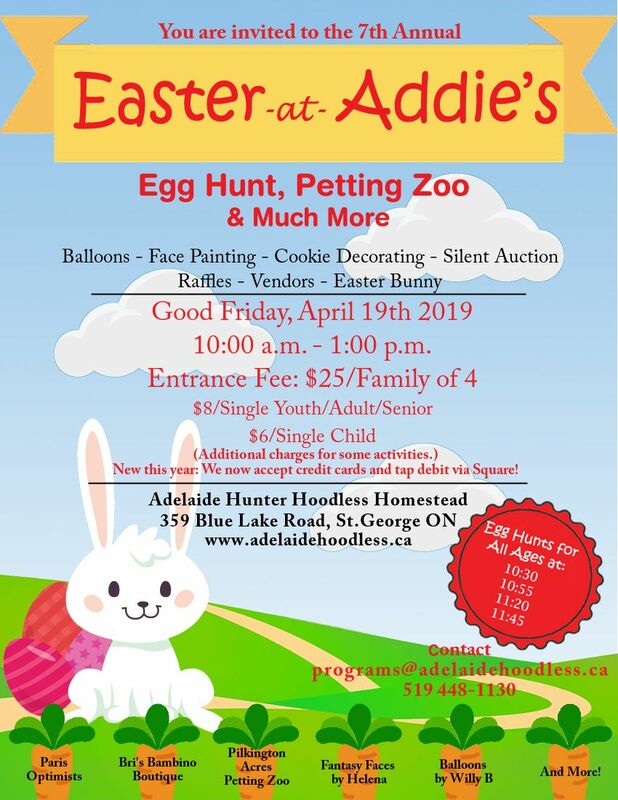 on Good Friday, April 19, 2019 at the Adelaide Hunter Hoodless Homestead, 359 Blue Lake Road, St George from 10:00 a.m. to 1:00 p.m. 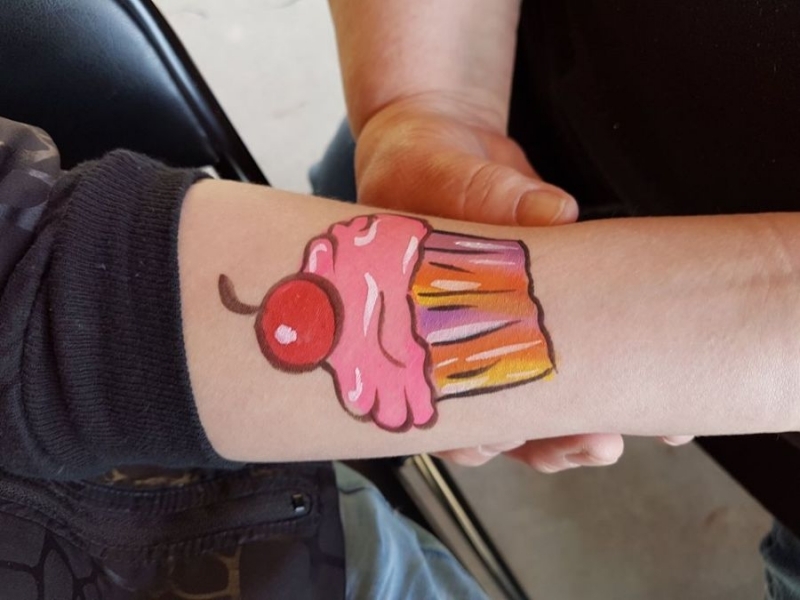 The same favourites will be back including Fantasy Faces by Helena, cookie decorating with the Paris Optimists and go home with awesome balloon art by Willy B. And of course, there will be farm-themed games of Old-fashioned Sack Races, Bouncy Bull Races, Chicken Pail Toss and Milk Bessie the Cow. And back by popular demand, feed the farm animals at Pilkington Acres Petting Zoo. Again, there will be 4 Egg Hunt flights at: 10:30, 10:55, 11:20 and 11:45 for all ages. 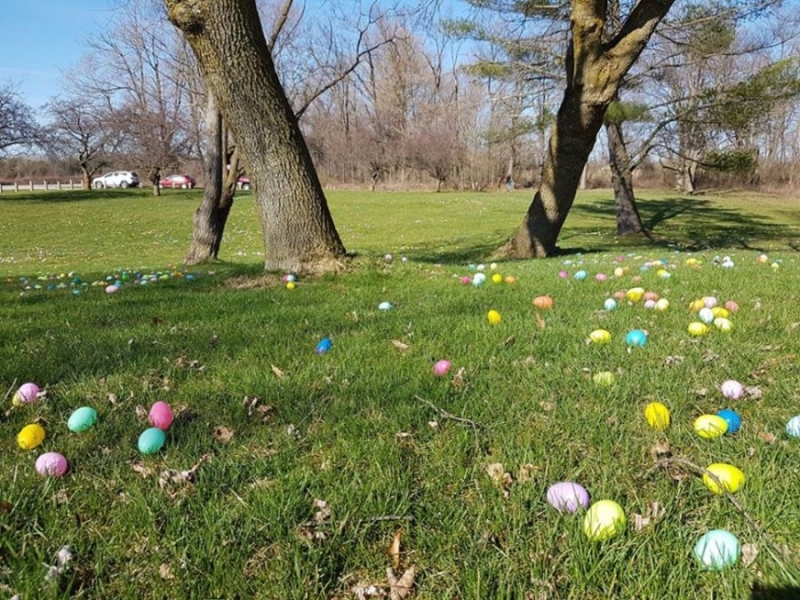 Gather as many eggs as you can find and then turn them in for a candy-filled treat bag. BYOB (Bring Your Own Basket) if you like, but bags will be provided. Get last minute Easter treats from Bri’s Bambino Boutique and Tupperware and don’t forget our Silent Auction and Children’s Raffle tables. Easter at Addie’s is a rain, shine or cold event so dress appropriately. Admission is $25 per family of 4 and $5 for each additional family member. Single Adults/Senior/Youth $8, Single Child $6. You can pay by cash, cheque and now by major credit cards and tap debit (no chip debit) through Square. 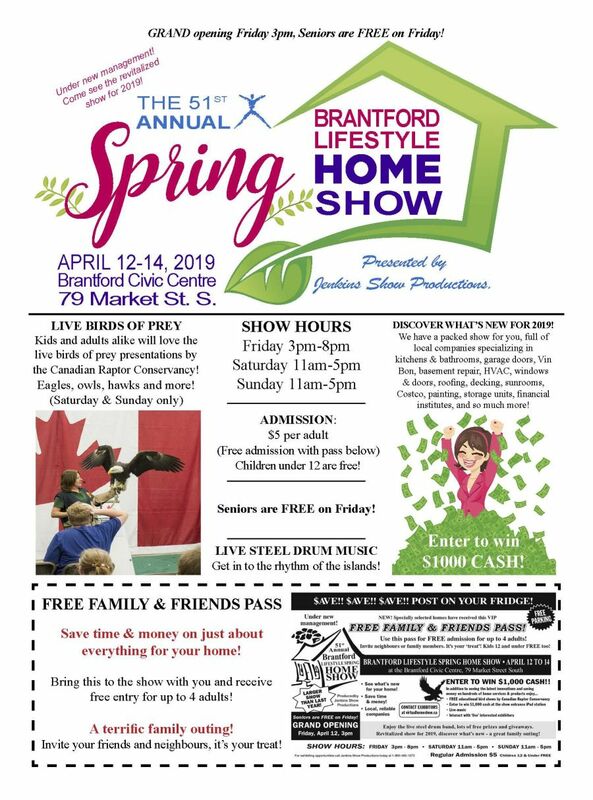 Interested in participating as a sponsor or vendor for this well attended family, fun-filled event, please contact [email protected] or 519-448-1130. The Adelaide Hunter Hoodless Homestead is the birthplace of Adelaide Hunter Hoodless who was an effective education reformer in the late 19th century. Free with non perishable food item. 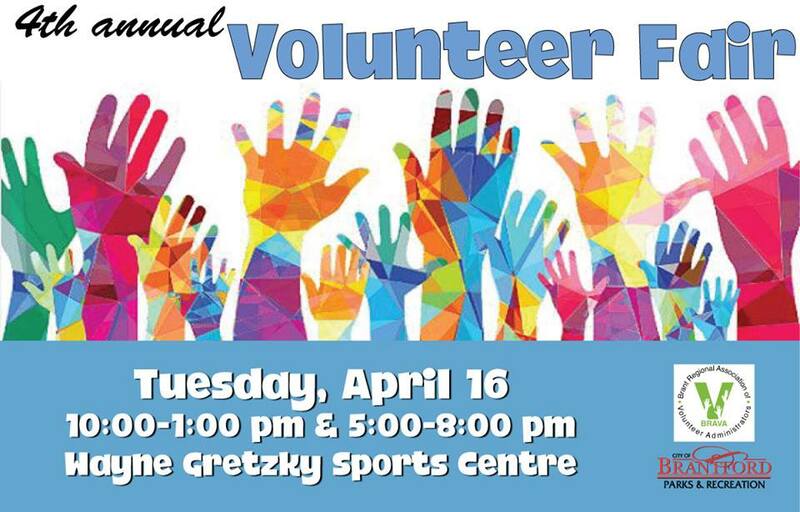 Pancake Breakfast, Crafts, bouncy castle, photo booth, face painting, prizes and more. 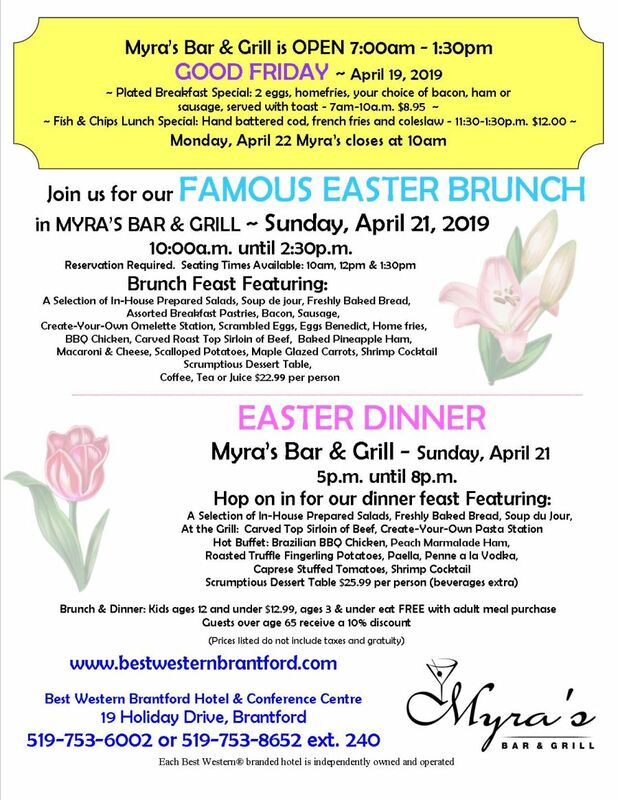 Famous Easter Brunch at Myra's Myra's Bar & Grill 19 Holiday Dr.
Reservations Required – call 519.753.6002 or 519.753.8652 ext. 240. Seating Times available: 10am, 12pm & 1:30pm. 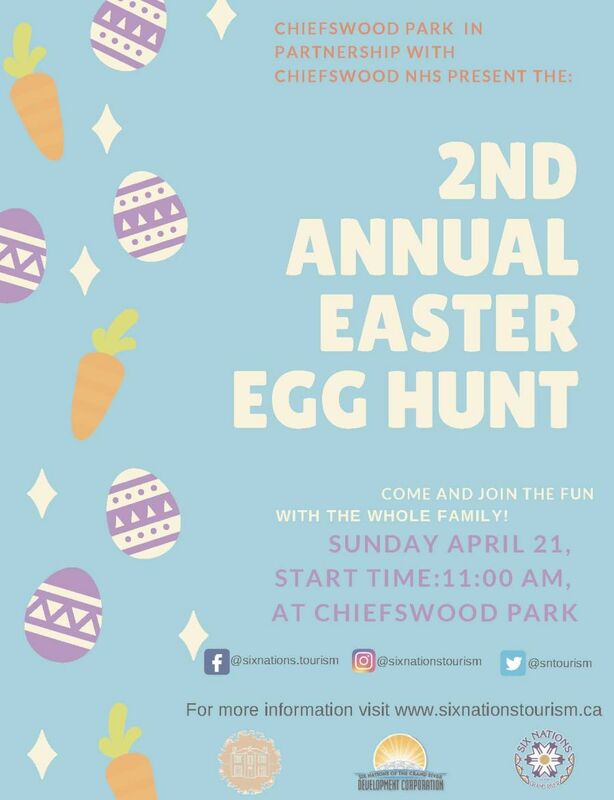 Join Chiefswood Park and Chiefswood National Historic Site in an exciting FREE Easter Egg Hunt! The Egg Hunt will be a shot gun start at 11:00am. Plan to arrive 10 minutes early! Meet and Greet with the Easter Bunny himself! Parking will be available at Six Nations Tourism, the field beside SN Tourism and by the river on Chiefswood National Historic Site side. Easter Dinner at Myra's Myra's Bar & Grill 19 Holiday Dr.
Support the Brantford Symphony Orchestra while getting some great deals on books! Our annual Book Fair is April 24-27 (9:30am-8pm daily, Saturday until 3pm). The location is 50 Craig St., just off Morton Ave. East. 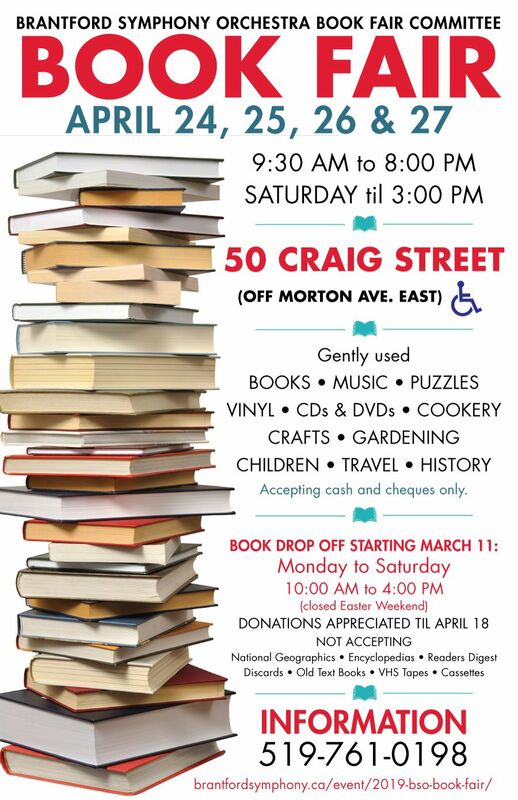 We are accepting book donations at this location Mon-Sat. 10am-4pm until April 18 (closed Easter weekend). For more information, please call 519-761-0198. 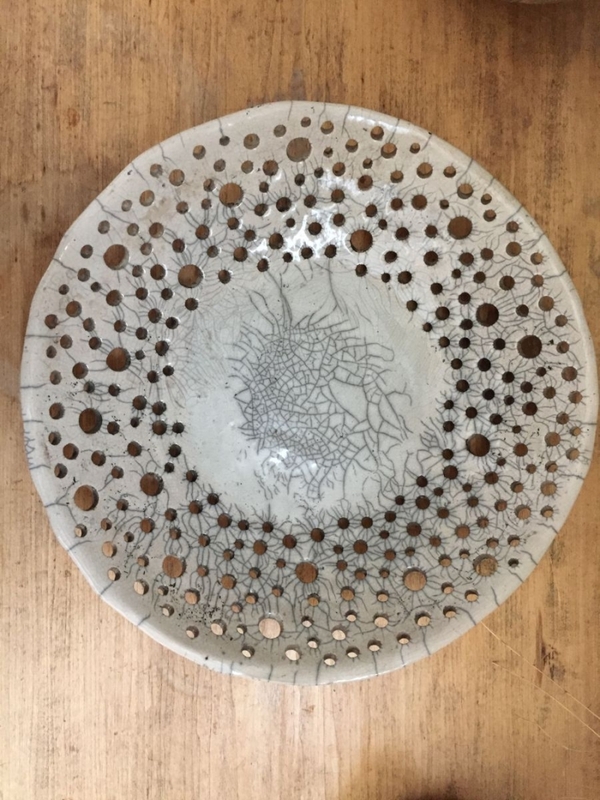 Fourth Wednesday of the month from January-June 2019 at the Burford Branch of the County of Brant Public Library. 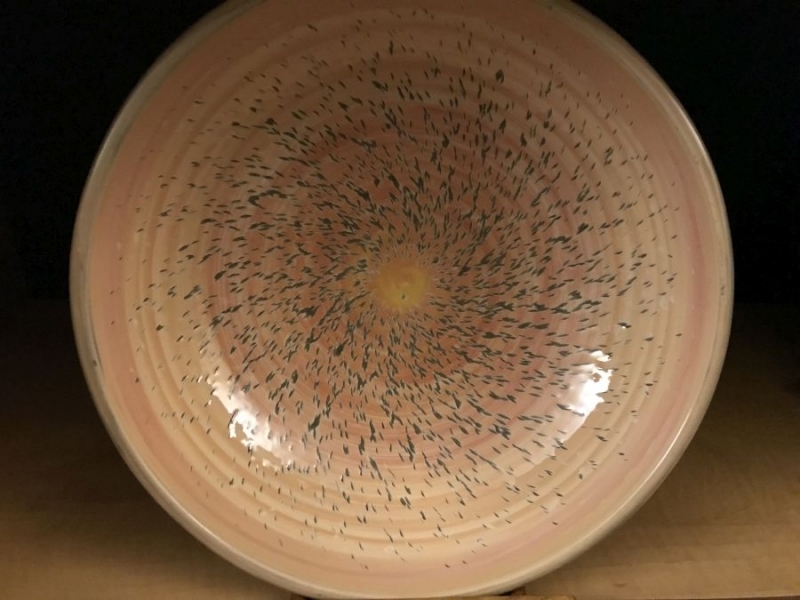 Join us on the fourth Wednesday of each month for an evening of crafting and creativity. Whether you love to crochet, draw, write, or scrapbook, an evening of socializing with others and sharing creative passions awaits! 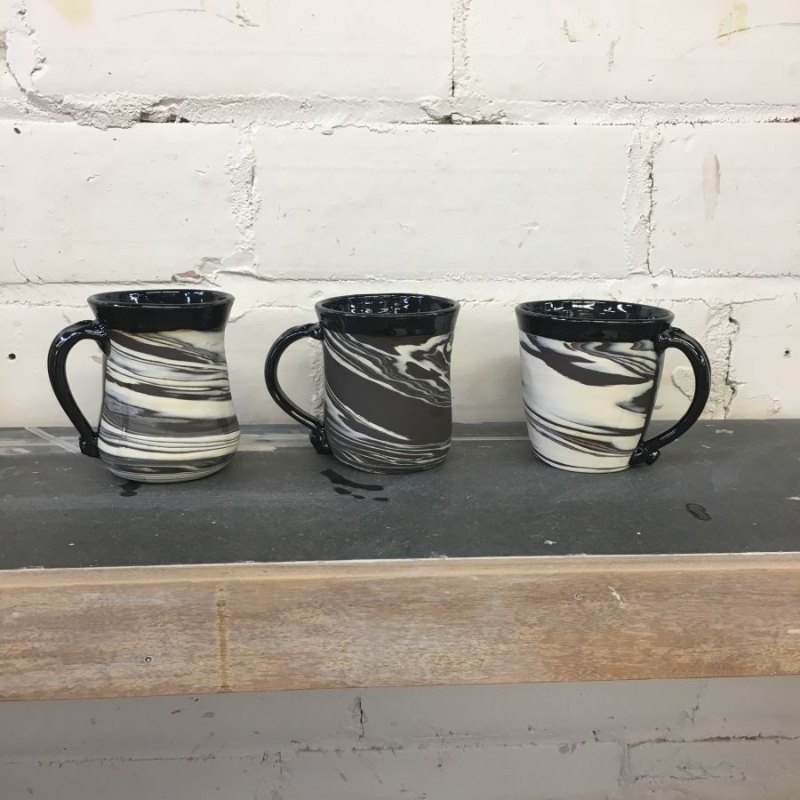 Bring your own supplies and work on your project or try your hand at a new creative pursuit that will be available each month. 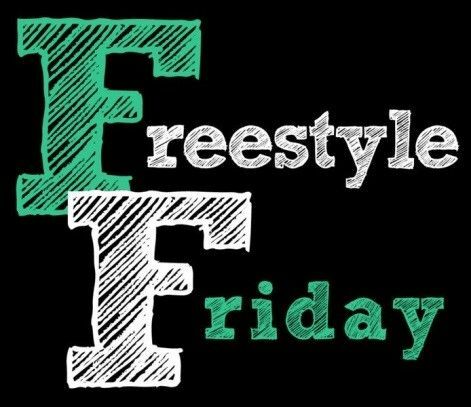 Free program–just drop in and join us! 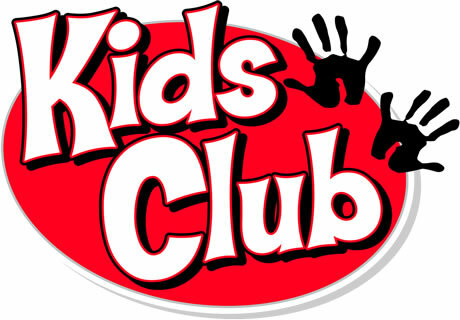 Dinner $10, Children 5-10 $4, Children under 5 are free. Dinner includes 2 kinds of homemade spaghetti sauce, salad, garlic bread, beverages and dessert as well as all you can eat spaghetti. Mini readings on a first come first serve basis, cost $20.00. Vendors in the hall downstairs. Private readings with Rev. Cheryl Tuck must be booked in advance by calling 519-756-4506. Join us to celebrate the Grand Opening of 2nd Booster Juice location in Brantford. Everyone Welcome to enjoy breakfast of fresh fruit, bacon, sausage, eggs, home fries, toast, juice, coffee, tea and muffins. Adults $8 each Children 12 years and under $4. The 4th Annual Brantford Sarcoidosis 5k Walk will take place on April 27 at 10:00am. 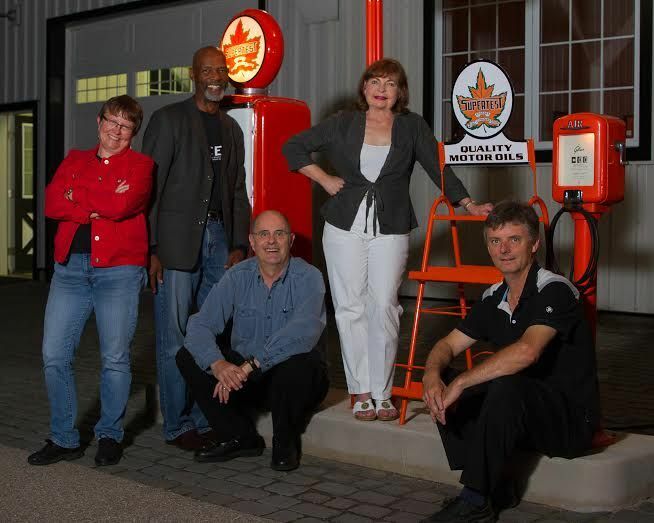 We once again look forward to hosting you at Waterworks Park in Brantford, ON. Funds raised from the walk will help provide research for this debilitating disease through our partners at Mount Sinai Hospital & the Foundation for Sarcoidosis Research. These two organizations are doing fantastic work in the areas of research, treatment and education. Any donation/support is greatly appreciated and we thank everyone for their continued efforts to battle this disease. 2. Come out and walk! The 5k walk is completely free & we encourage people to bring family and friends to walk along the scenic Waterworks Park Trail! 3. Share, Share, & Share! Get on social media & spread the word about the walk!! $45. per person. 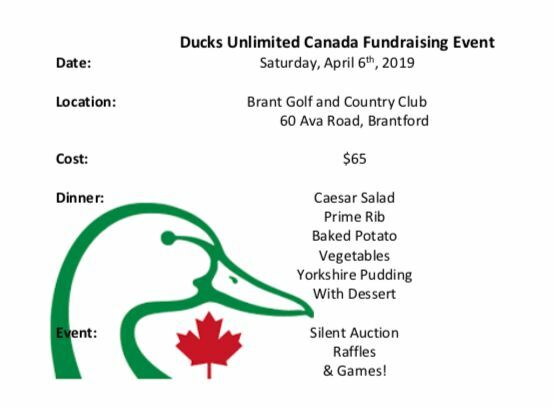 Please contact Aubrey at 519.449.2698 for tickets. 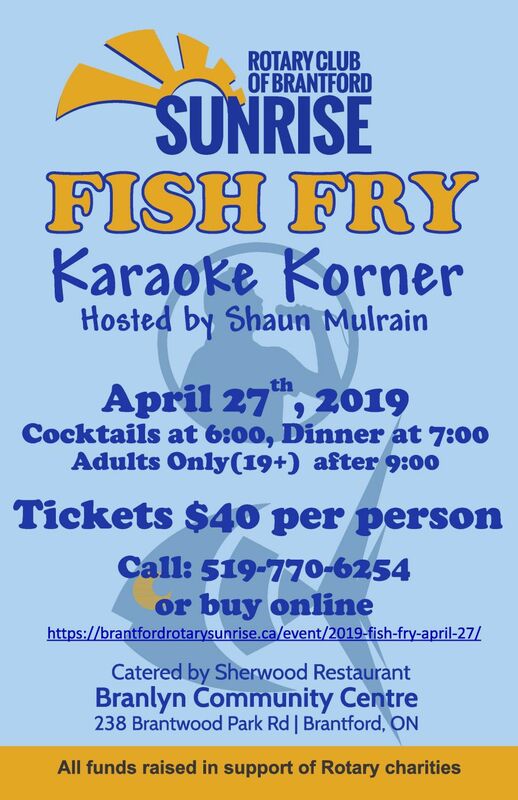 Fish Fry with Karaoke Korner hosted by Shaun Mulrain. All funds raised in support of Rotary charities. Cocktails at 6:00pm and dinner at 7:00pm. Adults ONLY (19+) after 9:00pm. 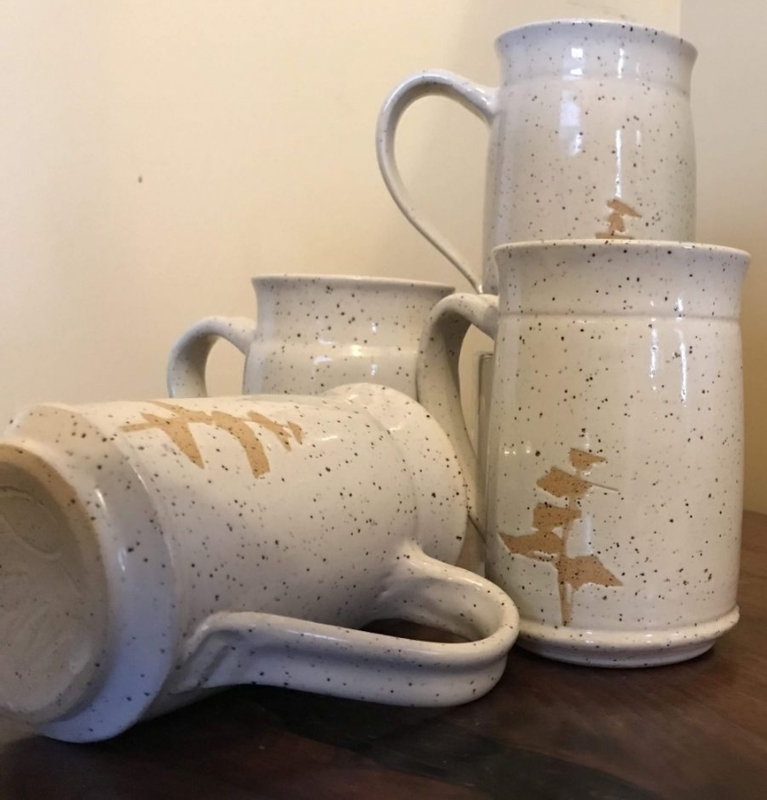 available by calling 519.770.6254 or online. Quarters for Camp is a quarter auction to raise money for local Girl Guides attending Leap, an interprovincial camp in summer 2019. 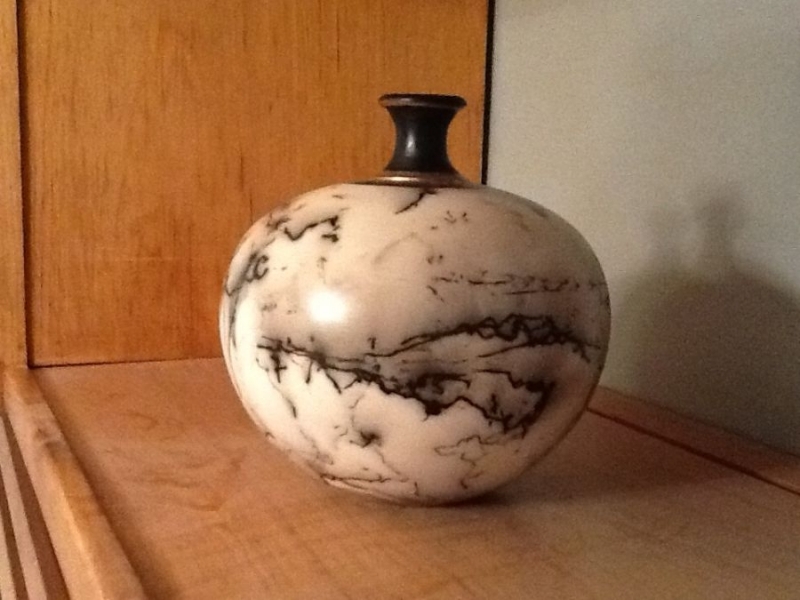 Local vendors will be auctioning off great products for just quarters!! 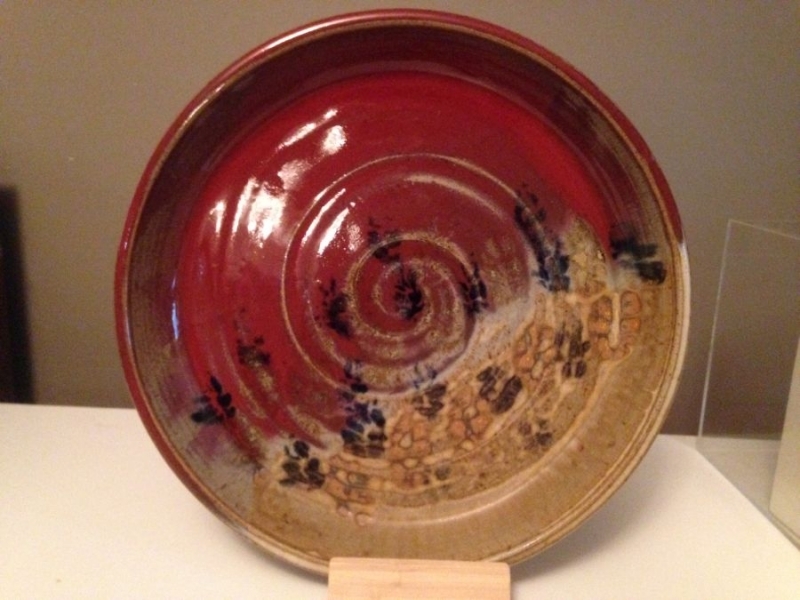 Tickets are $5 and include your admission and 1 paddle for bidding. Additional paddles sold at the door for $5. Limited number of tickets available. Pizza, Snacks and Refreshments available during the event. Doors open at 6pm. 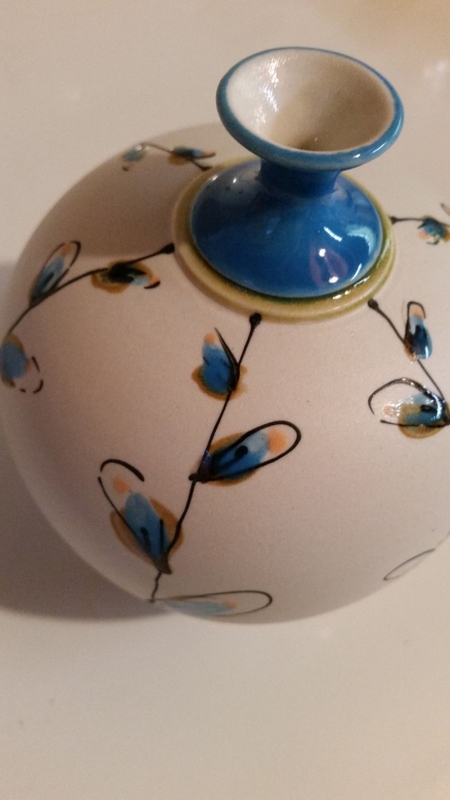 First auction at 7pm. All Proceeds go to helping the 85th Leap patrol attend camp this summer! Dr. John Vandertuin, internationally renowned concert organist on the new Content Cantate 346 organ. 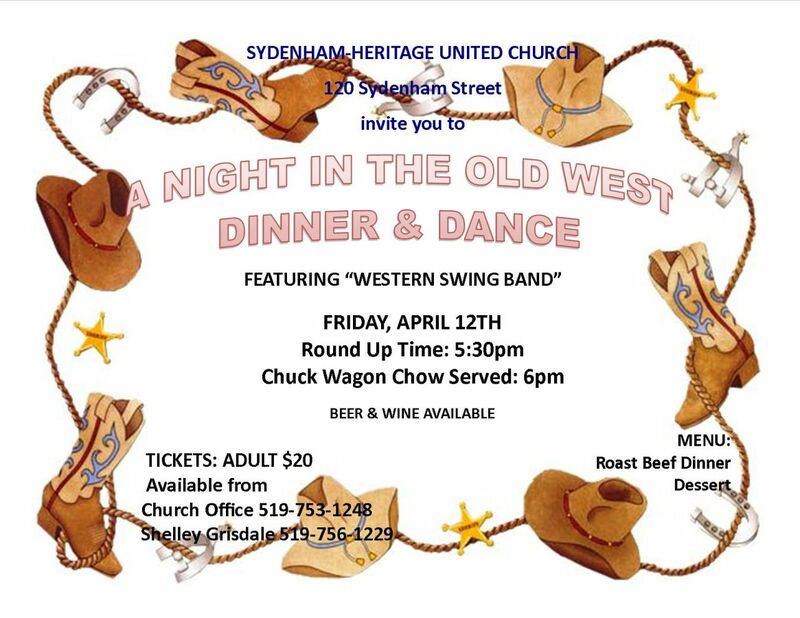 At St Paul's United Church on April 27 at 7:30pm. Dr. John Vandertuin, internationally renowned concert organist on the new Content Cantate 346 organ. 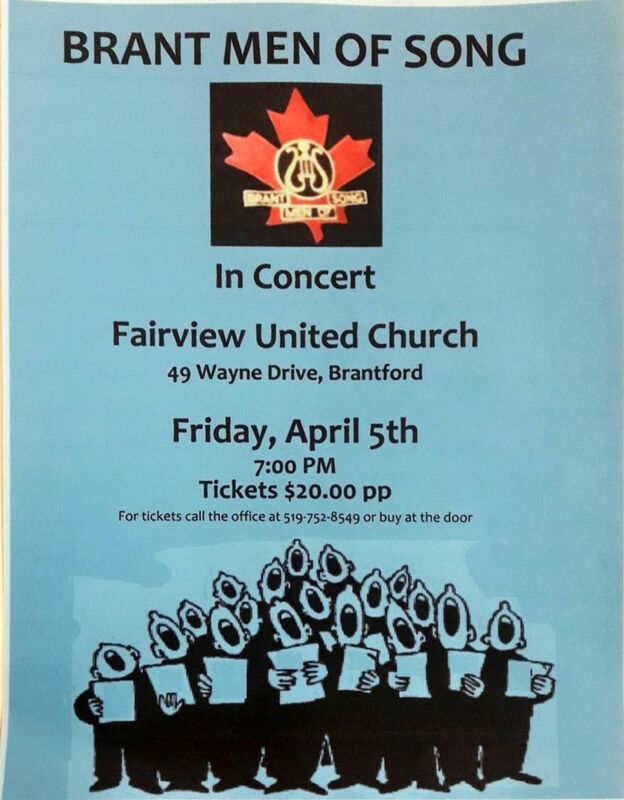 At St Paul’s United Church on April 27 at 7:30pm. A free will offering will be collected with proceeds going to the new organ fund. 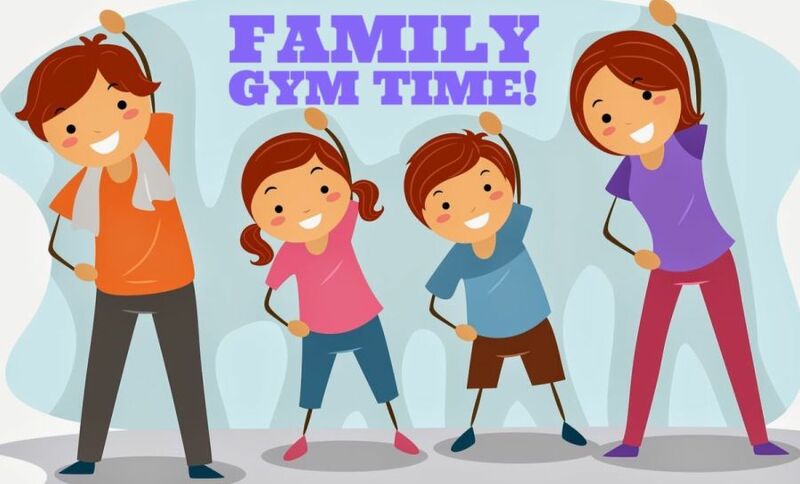 The last Sunday of each month from 9:00am – 12:30pm. 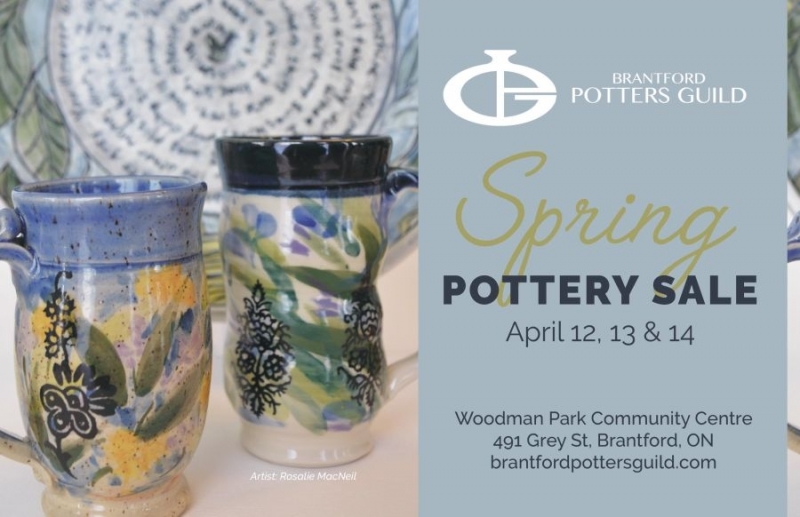 Gear up Brant County! 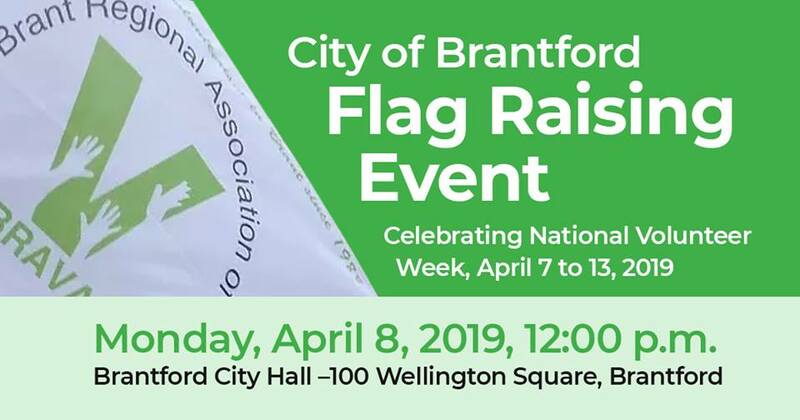 The 8th Annual Brantford Tree Plant is fast approaching. Invite your family and friends out to Brant Park and help contribute to the 85,000 trees already planted to date! Entry is free and refreshments are provided! Everyone’s welcome. 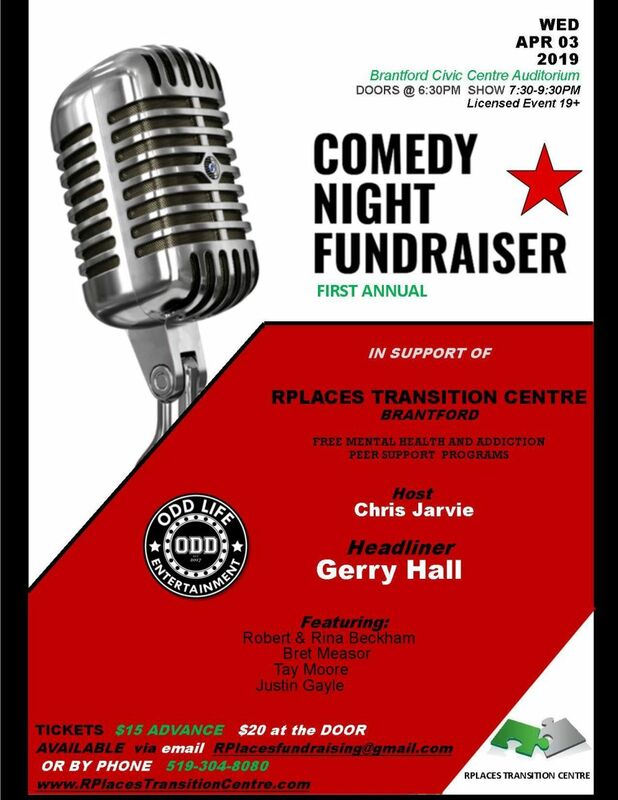 For More information call 519-756-1500.